The purpose of the survey conducted by Dr. Stewart et al was to quantify the presence of eating disorders (such as anorexia nervosa, bulimia nervosa, and others) in a group of women with fertility problems. While it is known in the medical community that many individuals with eating disorders have irregular or no menstruation and have difficulty conceiving, it is the opinion of the authors that that the reproductive issues related to anorexia nervosa and bulimia nervosa have not been adequately studied. The Study – The study was conducted with 66 women who couldn’t conceive, and were being seen at a university reproductive biology service. They completed a standardized self-reporting questionnaire and a second questionnaire regarding current and past weights, menstrual and gynecological history. All women who were thereby identified as potentially having eating disorders were then interviewed to confirm or refute this status. 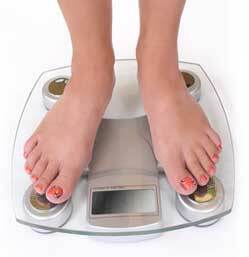 The average age of the women was 30.4 years and the average weight was 103% of ideal body weight range. The Results – Of the 66 women being treated for fertility problems, 12 had abnormal menstruation and 11 had extreme eating disorders. This indicates a prevalence of extreme eating disorders of 7.6%. The figure rises to 16.7% when less extreme eating disorders are included (such as occasional bingers or vomiters or anorexics who still menstruate). Of the 12 women with eating disorders leading to abnormal menstruation, 58.3% of them suffered from anorexia nervosa, bulimia, or other less extreme eating disorders. Analysis – The 7.6% prevalence of eating disorders is two to four times the rate found in the population at large. These rates indicate a higher risk for women with fertility problems to develop eating disorders. Quite alarmingly, none of the women identified in this study as having eating disorders had previously informed the infertility clinic’s gynecologist. The study seems to have encouraged more openness about the disorders. 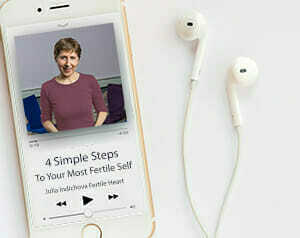 Moreover, several of the women shared that they were worried that their abnormal eating habits had caused their infertility. Most also expressed relief about being able to discuss this issue further. Patients often fail to volunteer information about eating disorders to their gynecologists and moreover often appear to be of normal weight. Therefore, when patients are assessed, especially those with menstrual abnormalities, it is vital that clinicians make routine and careful inquiries regarding nutritional intake and eating disorder history. Some questions might include a history of highest and lowest ever weights, desired body weight, average daily caloric intake, dieting, etc. Women found to have an eating disorder should be treated for the disorder before fertility investigations and treatments are pursued. The authors have shown in earlier studies that women whose eating disorders persist during pregnancy gain less weight, have more complications of pregnancy, have smaller babies, experience more difficulties in post-partum adjustment, and have more problems with breast feeding. Moreover, their studies have also shown that successful treatment of eating disorders reduces fatalities of both the woman and the child. Other separate studies have found harmful correlations between eating disorders and fertility. For example, studies have shown that endocrine function is altered in patients with eating disorders. Other studies have shown that approximately 50% of normal weight women with bulimia nervosa have menstrual abnormalities with impaired follicular maturation. The importance of healthy eating was shown by a recent study in which 73% of normal patients who had difficulty conceiving and who were below ideal body weight due to dieting actually conceived spontaneously when their weight was corrected.